Throughout 1938, a variety of activities were organised to mark the 150th anniversary of European settlement in Australia. 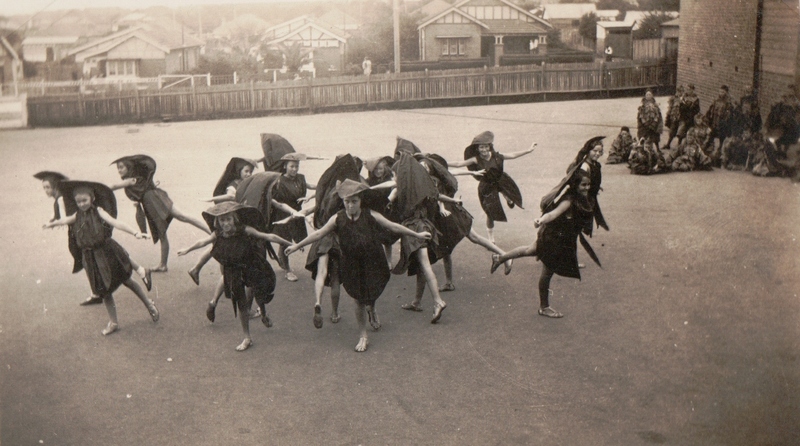 Local schools participated in the Public School Children’s Festival held at the Sydney Cricket Ground in April 1938. Girls from Strathfield North Public School’s 5th class wore Sturt’s Desert Pea costumes while the boys were dressed as Lorikeets. Lorna Wright recalls the event at North Strathfield Neighbourhood Stories. The photograph shows the Sturt’s Desert Peas practising their dance routine in the playground at Strathfield North with a flock of lorikeets (and Correys Avenue) in the background. 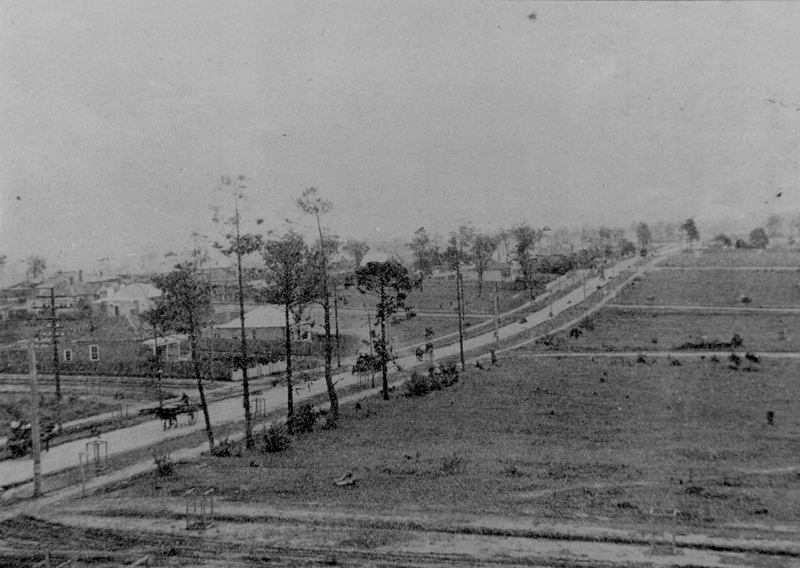 To reinforce the point, the above photograph of the improved Concord Road was included in the report. Another ‘improvement’ to streets in 1918 was changing the name of Mangrove Street to Empire Avenue and Swamp Street to Ian Parade.